While rumors of this device have been circulating for a while, the above press renders were leaked by Evan Blass on Twitter today. Per previous leaks, the phone is expected to have a Snapdragon 210/212 chipset with a 720p display (somewhere between 4.5-5"). Storage is going to be tight on this device as well, with 8GB of storage and 1GB of RAM. Even with Nokia's stock-like flavor of Android, I expect this phone will be pretty sluggish. 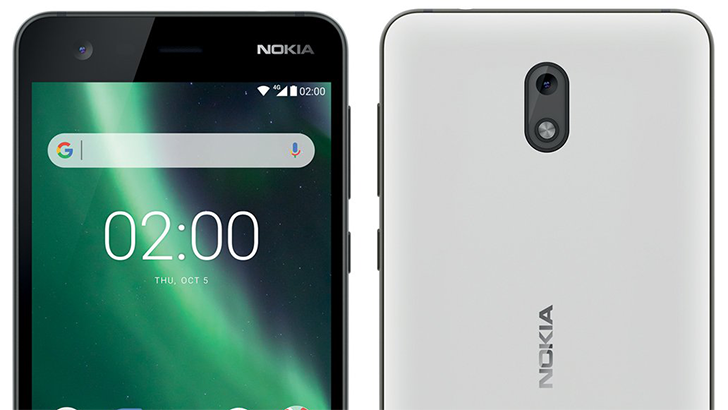 Besides the screen, we can see Nokia branding on the front and back, and a tiny speaker grill is visible on the bottom right corner. I'll be interested to see how much this device will cost.